Adolescent/family medicine physician assistant joins Urbana Family Medicine and Pediatrics. SPRINGFIELD – Mercy Health – Springfield announces that adolescent and family medicine physician assistant Jill Sanders, PA-C has joined Mercy Health Physicians. Sanders received her Master of Science in Physician Assistant Studies from University of Nebraska – Lincoln. She received a Bachelor of Science in Health Professions from Kettering College of Medical Arts in Kettering and an Associate degree in Applied Science in Registered Nursing from Clark State Community College in Springfield. Prior to joining Mercy Health, she practiced at Springfield Center for Family Medicine. 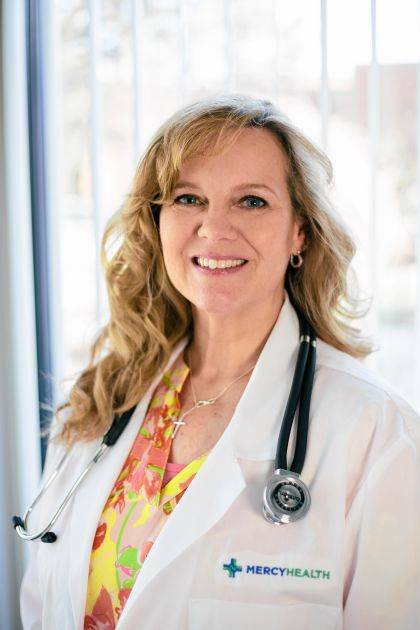 Sanders began seeing patients in March and practices from Mercy Health – Urbana Family Medicine and Pediatrics, 204 Patrick Ave.
To learn more about her practice or make an appointment, call 937-484-6157. To find a Mercy Health physician in your neighborhood or learn about the services provided at Mercy Health, visit mercy.com.